It's always nice to grab lunch with people you truly enjoy. Last week, my buddy at INDIRAP Productions and I stopped by Just Salad for a quick marketing meeting in the Loop. It's his favorite lunch spot right now, so I knew it had to be good--even if it was a glorified salad bar. As you step in, there's someone there to take your order because during a Loop lunch hour, the line is almost out the door. The line thankfully moves quickly while my buddy holds onto his Just Salad reusable salad bowl...I wasn't kidding--he loves this place. As I go through the menu I find that the restaurant's name is pleasantly deceiving as they also serve wraps, toasts, warm bowls & smoothies. The company boasts being an in-season, locally sourced lunch spot. 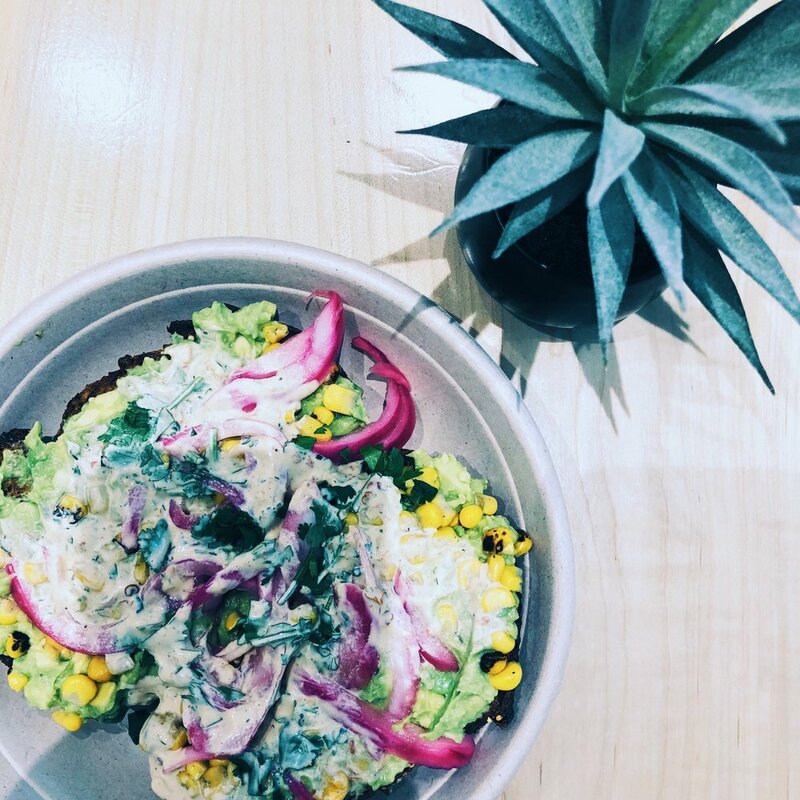 I order a colorful Avo Blast Toast while he orders his go to California Salad. While it was a quick lunch, we were still able to talk about the apartment I just helped him & his girlfriend rent while also chatting about how INDIRAP was growing as a video production company & the awesome new things they were doing. Even in the short time we were there, droves of people came and went on their lunch break. It was quite the busy place. The establishment itself is very modern & clean with a refreshing feel to it, so I could see why. It's a cute and healthy escape in Chicago's concrete jungle. Located in the Loop at 20 E. Jackson Blvd.